“Trauma” refers to a serious or critical bodily injury. The most common causes of injury that bring patients to a trauma center include falls and motor vehicle accidents. These events cause life-threatening injuries to multiple parts of the body. Other common causes of injury include burns, gunshot wounds, and assaults. Epidemiological data indicate that the number of patients affected by traumatic injury worldwide is over 10 million each year, and most die in cases of severe trauma. Trauma remains the leading cause of death in the population under the age of 45 years in the United States. The practice and evidence-based medicine in most of the developed countries have confirmed that the establishment of an integrated trauma center can significantly improve the success rate and outcome of trauma treatment.,, Trauma centers are programmed and equipped to provide specialized medical services and resources to patients suffering from traumatic injuries. Appropriate treatment has been shown to reduce the likelihood of death or permanent disability to injured patients. Accredited trauma centers must be continuously prepared to treat the most serious life-threatening and disabling injuries. Even though trauma centers are within hospitals, they are not intended to replace the traditional hospital and its emergency department for minor injuries. Trauma centers can vary in their specific capabilities and are identified by “Level” designation. Level I trauma centers provide multidisciplinary treatment and specialized resources for trauma patients and require trauma research, a surgical residency program, and an annual volume of 600 major trauma patients per year. The Ministry of Health and Family Welfare, Government of India, set up certain operational guidelines in 2012 in regard to “capacity building for developing trauma care facilities on national highways.” The overall objective of the scheme was to bring down the rate of preventable deaths due to road accidents to 10% by developing a pan-India trauma care network in which no trauma victim needs to be transported for more than 50 km and a designated trauma center is available at every 100 km. As per the “Accidental Deaths and Suicides in India-2012, National Crime Record Bureau, Government of India,” 440,042 accidents occurred in 2012 and 139,091 persons died due to road accidents. India has the highest number of road deaths globally and the mortality rate in India is 11.6 per 100,000 population (MoRTH 2013) compared to 10.3 in Europe and 16.1 in the US (WHO 2013). The number of fatalities has been steadily increasing with the growth in vehicle population. In terms of mortality per 10,000 vehicles, the rate in India is as high as 10.5 (MoRTH 2013), compared to less than 2.0 in the developed world. Should the correlation between fatalities and vehicle growth continue, the number of fatalities in 2030 could be staggering. The main strategies of the scheme were as under (1) ensure definitive treatment for the injured within the golden hour; (2) basic life support ambulances at every 50 km along the highways; (3) designated trauma care facilities, viz., Level I, II, and III – at every 100 km on the highways by upgrading the existing government healthcare facilities to the appropriate level in terms of infrastructure, equipment, and workforce; (4) advanced life support ambulance at trauma care facilities for inter-facility transfer; (5) integrated communication network to enable the public to reach the trauma care system and for the various components of the system, viz., trauma centers and ambulances to interface with each other; (6) appropriate skill training to various human resources, viz., doctors and paramedics, working in the trauma care system; (7) to develop a National Injury Surveillance System and Trauma Registry; and (8) to spread awareness regarding injury prevention and road safety. Hu PY, Chen XY, Chen XH, Chen YM. Trauma care construction under the guidance of county-level trauma centers. Chin J Traumatol 2018;21:256-60. 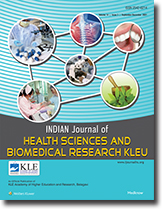 Nerli RB, Metgud T, Patil S, Guntaka A, Umashankar P, Hiremath M, et al. Severe renal injuries in children following blunt abdominal trauma: Selective management and outcome. Pediatr Surg Int 2011;27:1213-6. Celso B, Tepas J, Langland-Orban B, Pracht E, Papa L, Lottenberg L, et al. Asystematic review and meta-analysis comparing outcome of severely injured patients treated in trauma centers following the establishment of trauma systems. J Trauma 2006;60:371-8. Rajendra BN, Sharma V, Basavaraj MK, Neeraj SD, Nitin DP. Grade V renal injury – Short and long term outcome. Open J Trauma 2017;1:20-5. Zhao ZX, Liu ZM. Continue to play the role of comprehensive public hospital in emergency rescue: At 2014 second academic annual meeting of Disaster Medical Branch of Chinese Medical Association in Fuzhou. Chin J Disaster Med 2015;3:57-8. National Crime Records Bureau. Accidental Deaths and Suicides in India; 2012. Available from: http://www.ncrb.gov.in/StatPublications/ADSI/ADSI2012/ADSI2012. [Last accessed on 2018 Dec 14]. Ministry of Road Transport and Highways. Specification for Road & Bridge Works. Fifth Revision. New Delhi: Ministry of Road Transport and Highways, Indian Roads Congress; 2013. Available from: http://www.manuneethi.in/FILES/IRC%20CODES%20&%20MORTH%20SPECIFICATIONS/MORTH%205th%20REVISION.pdf. [Last accessed on 2018 Dec 14].